Sometimes in life, you feel a pull, a call, to do something you didn't planned. I'm not talking about eating the last piece of chocolate on the bar at 11pm. I'm talking about doing something altruist, generous, perhaps time-consuming... Something that brings us nearer to God or the Divine (whichever you prefer). After hearing about the earthquake that shattered so many lifes in Nepal and North-India, I have looked for NGO raising funds to help the victims. As I was trying to decide which one was the more "suitable", I stumbled on an article advising people to be cautious on how to give and remind us of what happened to a part (a quite big one) of the humanitarian help provided after the disaster in Haiti in January 2010. This article in the French newspaper Le Monde relates the situation in Haiti 5 years after the earthquake and it's not a nice picture. Of course I know that rescue teams, helicopters, shelters, food, water, medical help, etc are needed right now in Nepal. And that without funds, it's not possible. BUT emergency situations (when it's a natural occurence) are nowadays quite well planned or managed by governments and international NGO. What is not planned or enough secured, is the aftermath, the rebuild of the country. How many money have been "lost" or "hijacked" after the massive and spontaneous international help for the numerous calamities throughout the world these last ten years? Earthquakes, tsunami, flooding, famines due to heat-waves, storms and cyclones... in all the continents! They have worked with them for many years on various aspects, one of the main goals being self-reliant and self-developing communities. It's the core of the programms for nearly 30 years at CHOICE Humanitarian. As the quote from Maimonides says: "Give a man a fish and you feed him for a day; teach a man to fish and you feed him for a lifetime." And this organization applies this principle. They also empower and educate women and girls, so that they can stay healthy and feel as equal citizens with their work and contributions to the community. Building desks for a school. As you can see on the maps below (click on the enclosed documents), the regions of Ghorkha and Lamjung with whom the organization works have greatly felt the earthquake. This article on a USAID page (a US Government agency) explains rather well which part of Nepal have been victimed of the quake(s). Helping women with a healthier life: implementing biodigesters to eliminate nocive smokes in the kitchen, see video below. I have set a personal goal of 500$ until the 31st of May 2015. This money will serve the populations of Nepal in their dire and present needs but most important, it will be used to rebuild and set goals for the future. Tents and temporary shelters are ok, however it will never be as good as building again houses and facilities. Schools have been destroyed, health centers are damaged, etc. the sooner the Nepali will start rebuilding, the better their life will improve. Make a wish on their future, donate! 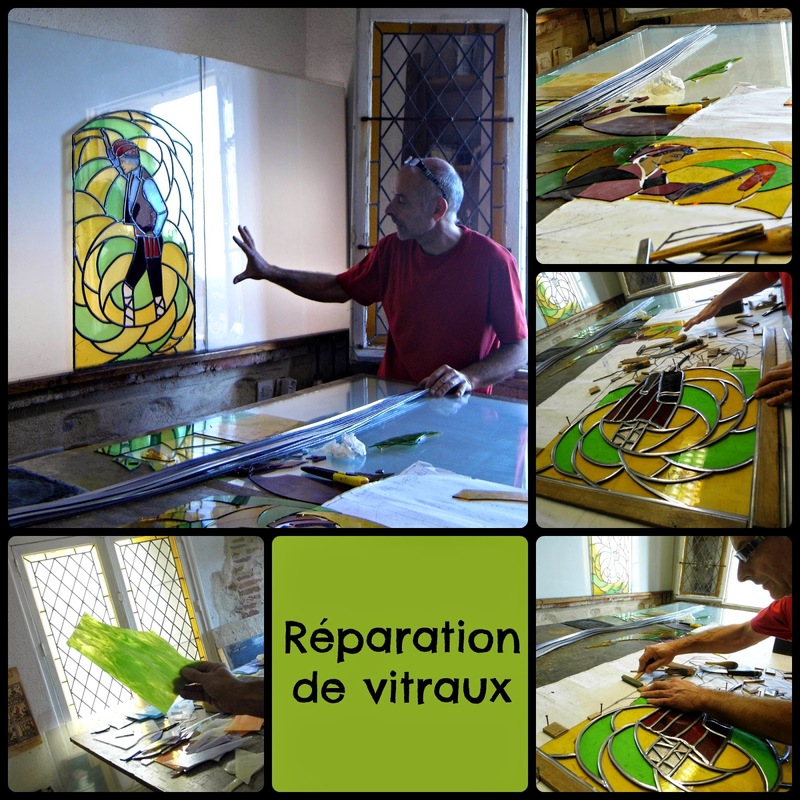 Visite chez un maître verrier à Elne / A visite to a Stained Glass maker in Elne. Lors de notre voyage dans les Pyrénées-Orientales (entre autre) en octobre dernier, nous nous sommes arrêtés à Elne pour voir une de mes amies. Avant de quitter les lieux, j'ai voulu montrer la cathédrale à mon mari et mes enfants. Oui, vous avez bien lu, ce n'est pas une simple église qu'il y a dans la ville, mais une cathédrale. During our travel in the Pyrénées-Orientales (inter alia) last october, we stopped by at Elne to visit one of my dear friend. Before leaving the place, I wanted to show the cathedral to my husband and children. Yes, you read well, it's not a simple church building but a cathedral. La cathédrale Sainte-Eulalie et Sainte-Julie d'Elne a été construite entre les XIe et XIIe siècle sur une colline qui surplombe la plaine du Roussillon. A l'époque, l'évêché de Catalogne Nord comprenait le Roussillon, le Vallespir et le Conflent. La ville d'Elne était la plus importante de cette région et ce n'est qu'en 1601 que l'évêque a autorisation d'habiter à Perpignan (qui était devenue la principale ville). Mais il est toujours appelé évêque d'Elne (ou souvent évêque d'Elne-Perpignan) selon Rome. Le cloître attenant peut être également visité en même temps que la cathédrale. 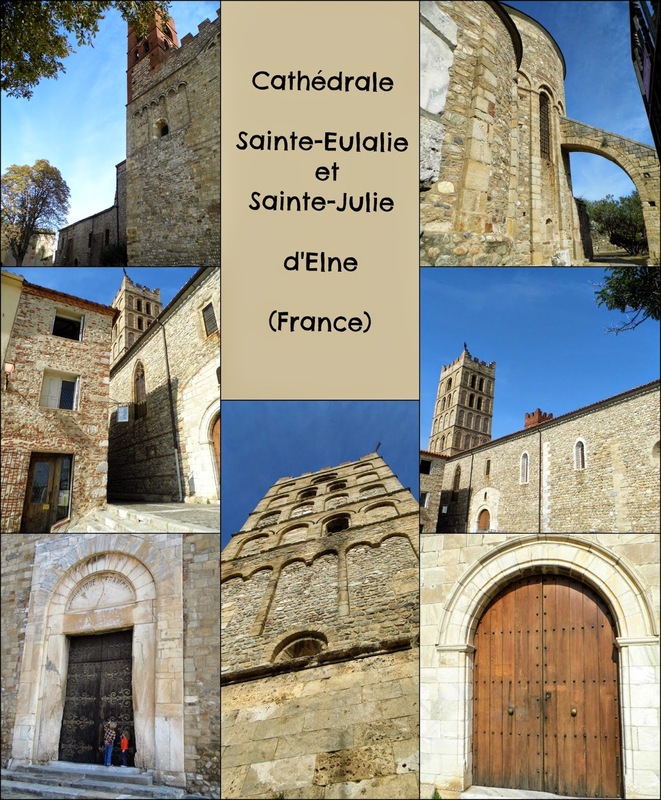 The cathedral Sainte-Eulalie and Sainte-Julie of Elne was built between the 11th and 12th Century on the top of a hill projecting over the Roussillon lowland. At the time, the North Catalunya bishopric was composed of the Roussillon, the Vallespir and the Conflent. the town of Elne was the biggest in the area and it was only in 1601 that the bishop received the authorization to live in Perpignan (which had became the main city). But he's still called the bishop of Elne by Rome (and commonly of Elne-Perpignan). The adjoining cloister can also be visited. Quand on dit cathédrale, on pense rapidement art religieux important. Les "Vitraux" font partie de l'architecture intérieur des Eglises catholiques et sont bien souvent un fantastique moyen de comprendre la vie d'une époque (les confréries, les rois, les évêques, la vie dans les champs ou à la ville, etc) ou les Écritures (histoire de Jésus, passages de l'Ancien testament, vie des Saints catholiques...). When we say "cathedral", we usually think religious art. The "Stained glass" are part of the interior design of the Catholic churches and are often an amazing way to understand the life in a specific era (the guilds, the bishops, the kings, the life in the fields or in the cities, etc) or the Scriptures (Jesus' stories, Old Testament stories, life of the Saints...). Au pied de la cathédrale, un maître verrier s'est installé. Louis Aufner présente ses créations originales, ainsi que quelques copies de vitraux très célèbres au RDC et travaille dans son atelier situé au 1er et 2ème étage. 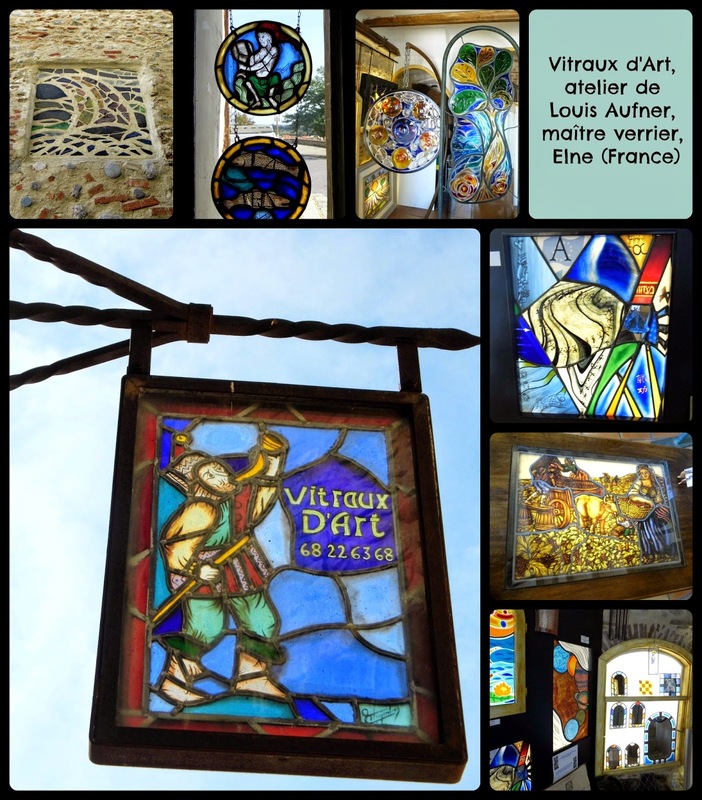 Il utilise diverses techniques et aussi types de verre: plaques de verres, dalles de verre, verre soufflé, peinture sur verre, etc. Son enseigne m'a tout de suite attirée. Il faut dire que je rêve d'avoir de belles fenêtres en vitrail un jour dans ma maison (dans le style Art Nouveau par exemple). At the feet of the cathedral, a stained glass maker has set up his workshop. Louis Aufner presents his own creations, and some copies of reknown stained glasses in his shop. He works in his workshop on the 1st and 2nd floor. He uses divers technics and also different types of glasses: glass plates, glass slab, blown glass, painted glass, etc. His signboard attracted me at first glance. I have to confess that I dream of having such beautiful windows in stained glasses in my house (Art Nouveau style for example). * "déconstruire" le vitrail: retirer le réseau des plombs, tout en conservant le tracé original. Un dessin sur calque est effectué en suivant les plombs. Dismantle the stained glass: take off the lead, and conserve the original markings. A drawing on a tracing paper is made while following the lead places. Remove the broken or damaged pieces and find a glass of the same color, texture, etc. Cut it to produce the shape of the missing piece. (He has shown us different kind of glass and Gabriel wanted to know how we make them... Next time my boy, we will visit the glass-blower a few streets away). * Reconstituer le vitrail, pièce par pièce, avec le sertissage ou mise en plombs, puis le soudage. Put together the stained-glass, piece by piece, with the setting or lead putting, and then the soldering. Il aurait aimé nous montrer comment il travaille sur une de ses créations, mais nous devions reprendre la route... Dommage! He would have loved to show us how he works on his original creations, but we had to go back on the road again... Pity! Si vous vous promenez dans les Pyrénées-Orientales, faites un détour par Elne pour visiter la ville-haute, son cloître et sa cathédrale et surtout ses artisans! 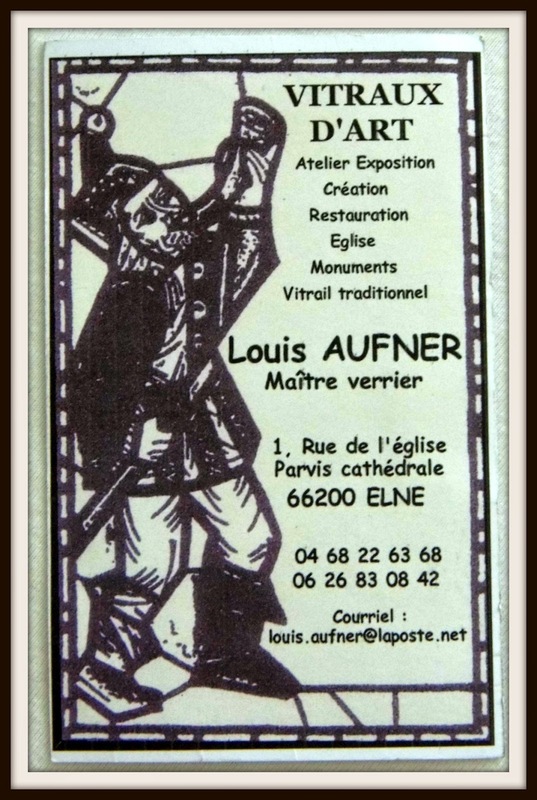 M. Aufner sera heureux de vous accueillir dans son atelier/boutique. If you wander in the Pyrénées-Orientales, make a detour by Elne to visit the old town, its cloister and cathedral and its craftsmen! Mr Aufner will be happy to welcome you in his workshop. The Creative Kids Culture Blog Hop is a place where bloggers can share multicultural activities, crafts, recipes, and musings for our creative kids. We can't wait to see what you share this time! Created by Frances of Discovering the World through My Son's Eyes, the blog hop has now found a new home at Multicultural Kid Blogs. 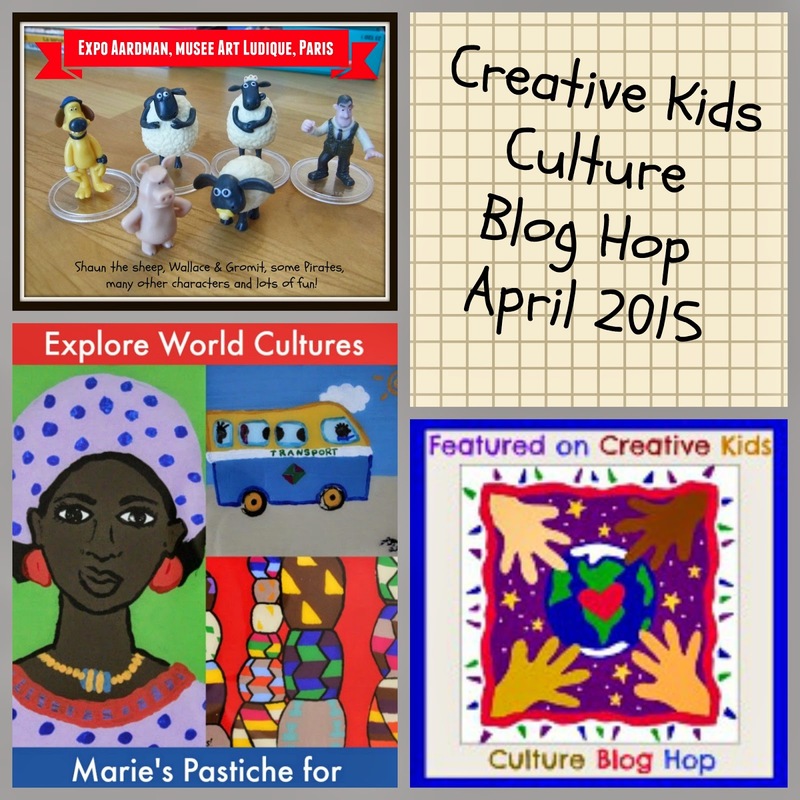 Creative Kids Culture Blog Hop is a place for you to share your creative kids culture posts. It's very easy, and simple to participate! a guest post by Marie's Pastiche for Cindy's blog The Art Curator for Kids. 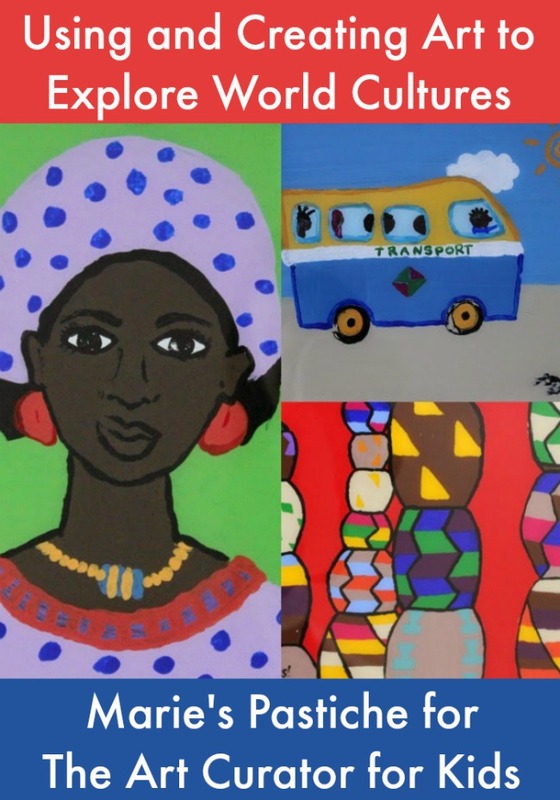 This post talks about the link between Art and Culture, and how to teach it to kids. Amphoras from Old Greece, Stained glass from Senegal, Calligraphy from China are examples of what you can explore with your children. 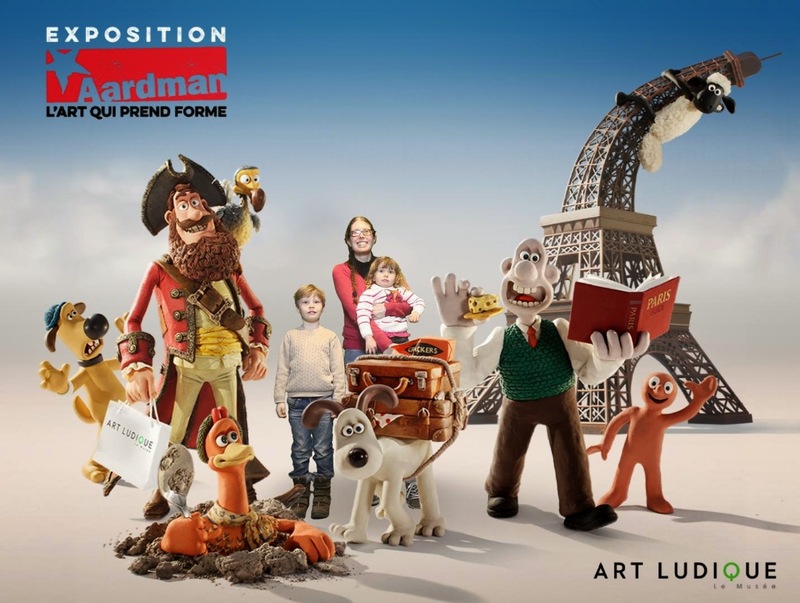 Du 21 mars au 30 août 2015 a lieu l'exposition Aardman, l'art qui prend forme au musée Art Ludique, Paris XIIIe arrondissement. 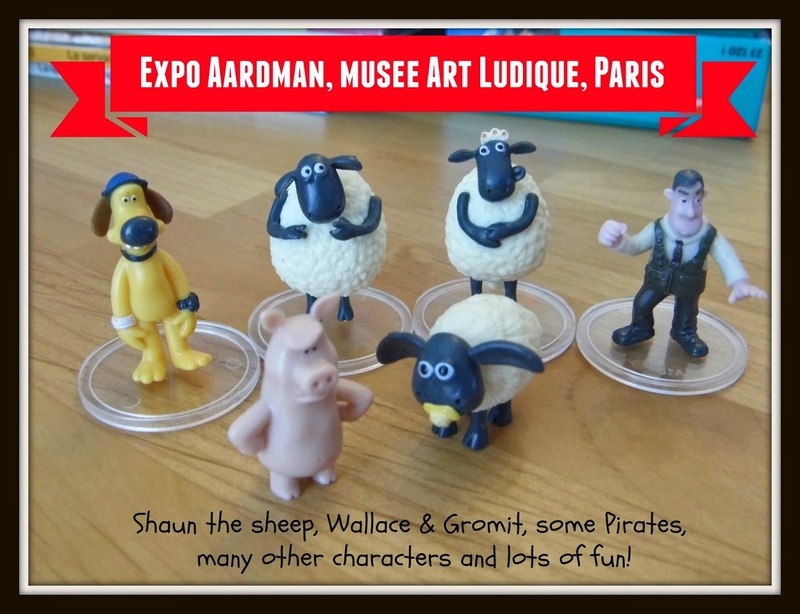 From the 21st of March to the 30th of August, the exhibition Aardman, the art that takes shape is taking place at the museum Art Ludique (Playful Art), in the 13th arrondissement of Paris. Bref, j'en reviens à l'exposition. Le week-end de Pâques, nous étions à Paris en famille. En passant près de la gare d'Austerlitz dimanche en fin d'après-midi, j'ai remarqué l'affiche géante faisant la promotion de cet événement se déroulant quelques centaines de mètres plus loin. J'ai foncé vers mon PC en arrivant à notre gîte (un joli appartement dans le XIIe arr) et j'ai sauté de joie en voyant les infos à propos de l'expo. So, coming back to the exhibit. On Easter week-end, we were in Paris. While driving near the Austerlitz Train Station on Sunday evening, I noticed a giant poster promoting this event, event that takes place a few hundred meters away. I ran to my laptop as soon as we get to our rental flat (a cosy flat in the 12th arr), and I joyfully jumped when I read the infos about the exhibition. Un ticket pour maman, un pour Gabriel. Les enfants de moins de 4 ans rentrent gratuitement. A ticket for mom, one for Gabriel. The children under 4 years of age can go freely. A la fin de la visite, prenez le temps de faire la queue pour prendre une photo sur fond vert en famille/ entre amis. Elle vous est envoyée par email instantanément. Sympa comme souvenir, non? At the end of the visit, take your time to take a picture in front of the green screen with your family/friends. It's directly sent on your email adress. A cool souvenir, isn't it. Créée par l’équipe d’Art Ludique-Le Musée, en étroite collaboration avec les créateurs et les réalisateurs oscarisés du célèbre studio britannique, cette exposition, première mondiale, consacrée à l’Art de Aardman présentera plus de 50 décors et personnages de films authentiques, véritables chefs-d’oeuvre de sculptures mis en lumière par les artistes eux-mêmes. Created by the Art Ludique-Le Musée team, in close collaboration with the Award winning creators and producers of the celebrated British studio, this exhibition, a worldwide premiere, dedicated to the Art of Aardman will present over 50 authentic film characters and sets, true masterpieces of sculpture lit by the artists themselves. Je peux vous dire que nous n'avons pas été déçus! Des centaines de dessins, des vidéos, les sculptures originales utilisées lors des tournages... Quand on voit le travail accompli par toute l'équipe des studios Aardman pour ne produire qu'une scène d'un long métrage tel que le Mystère du Lapin-Garou, on ne peut qu'applaudir. I can tell you that we weren't disappointed! Hundred of drawings, many video clips, original sculptures and figures used during the shootings... When you see the work accomplished by all the Aardamn studio's team to produce just one scene in a movie such as The curse of the Were-rabbit, you can only applaud. Si vous aimez les films d'animation, vous vous devez de visiter cette exposition! Le studio Aardman est un peu différent de, disons, le studio Ghibli en cela qu'il travaille énormément avec la technique du stop motion et des personnages en pâte à modeler. C'est une occasion exceptionnelle de découvrir une autre façon de créer des merveilles! If you like animated movies, you have to visit this show! The studio Aardman are a bit different than, let say, the studio Ghibli, as they are working with stop motion and miniature clay figures.So it's a great opportunity to discover another way of creating wonders! Achats à la sortie de la visite: un sac à dos (12€) pour Sophie, qu'elle utilisera quand elle rentrera au Kindergarten. 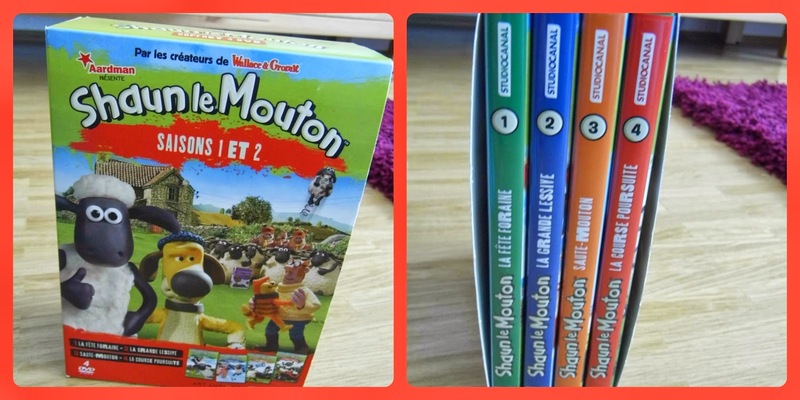 Et le pack DVD des saisons 1 et 2 de Shaun le Mouton pour 20€. Shopping after the visit: a backpack (12€) for Sophie who will use it at the Kindergarten in Septembre. And the DVD pack of the seasons 1 & 2 of Shaun the Sheep, for 20€. par le supermarché d'à côté pour que notre "période Aardman" soit parfaite! the supermarket nearby for our "Aardman moment" to be perfect! 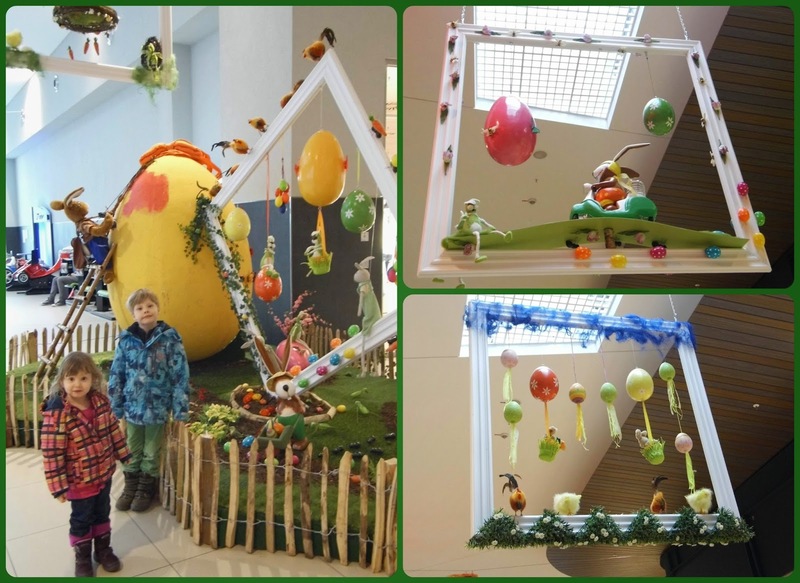 Avant Pâques, les vitrines des commerçants allemands sont décorées avec soin aux couleurs du printemps et de cette fête. Je vous laisse découvrir les décorations du centre commercial Taunus Carré, à Friedrichsdorf. Joli, n'est-ce-pas? Before Easter, the German shops are beautifuly decorated with Spring and Easter's colors. 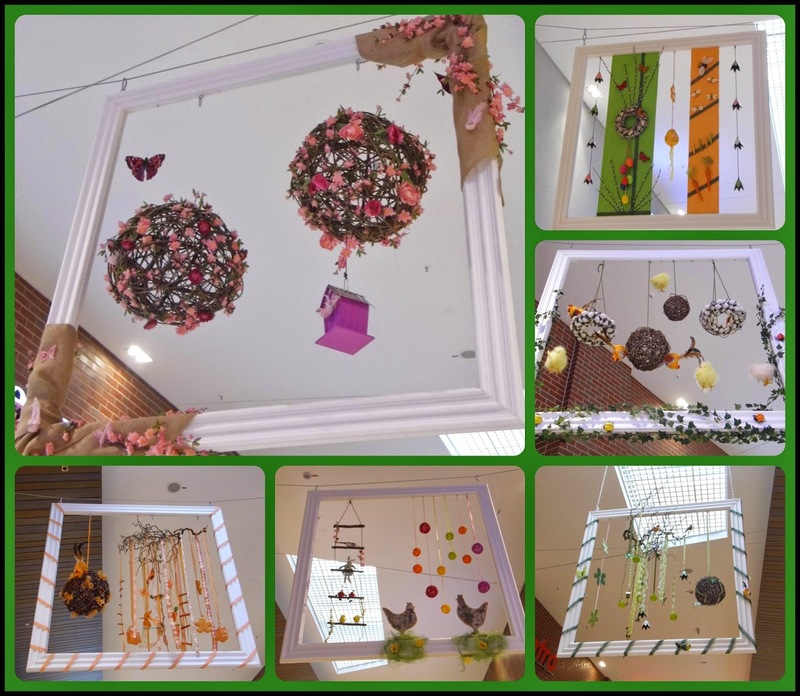 I let you look at the decorations in the shopping mall "Taunus Carré" in Friedrichsdorf. Pretty, isn't it?